Icma San Giorgio SPA (Milan, Italy) has designed and installed two complete compounding systems for a major global appliance manufacturer. The new lines produce mineral-filled compounds at high volume through ICMA high-efficiency co-rotating extruders with integral material handling, dosing and cutting units. 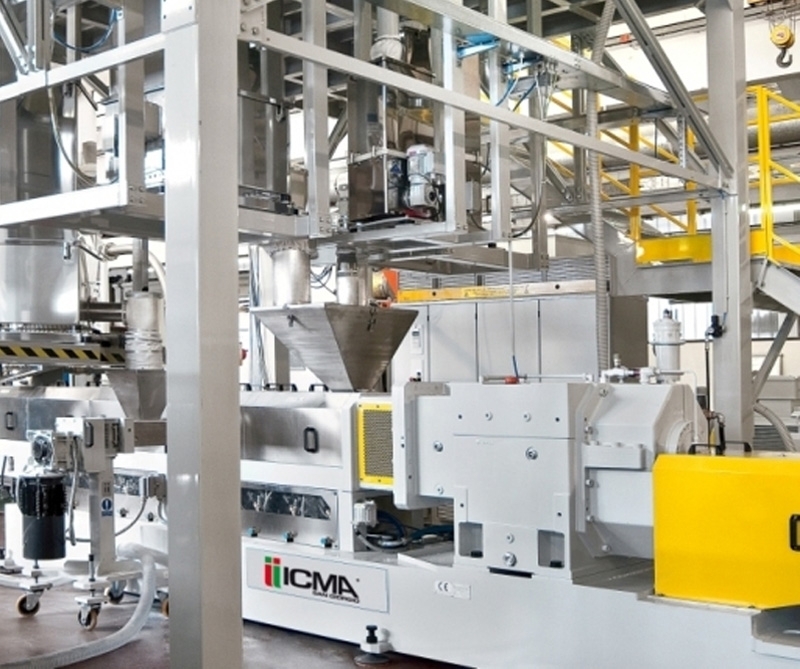 ICMA's turnkey system encompassed complete project engineering and support to smoothly integrate the lines with all related factory systems including material handling, compounding and granulation systems, as well as final compound storage and distribution management. At the core of the plant are two co-rotating extruders, each line capable of producing in excess of 3,000 kg/hr of mineral­-filled compounds. The system features energy-saving enhancements and noise deadening properties built into the co-rotating extruders and cutting units. "This is an excellent example of ICMA's ability to tackle complete and complex compounding projects that require a high level of engineering and reliable execution" said Giorgio Colombo, Managing Director of Icma San Giorgio. The lines were built and tested at ICMA's premises prior to installation and final start-up at the customer’s site in South America. "We have developed specific, in-depth experience in the white goods industry over the years. Appliance manufacturers recognize that our high-efficiency compounding lines can make a substantial difference in productivity and energy savings" Colombo said.